Moto has started rolling out Android Nougat for Moto X Style in India. The update is v25.11. 15.en.03 with build number NPH25.200-15 includes Android SecuritUpdatete for May 2017. In addition to Android Nougat, the update also adds Duo video calling app to the smartphone. 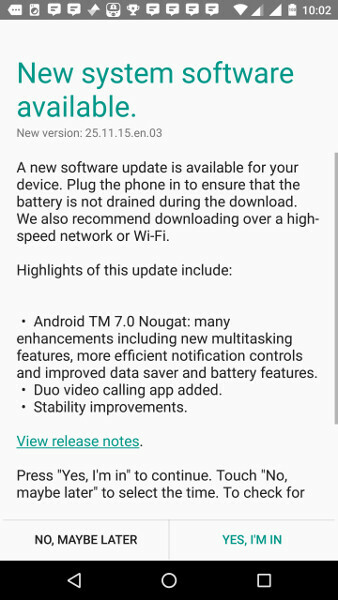 It doesn’t have any other changelog, but the update should bring all the Nougat features such as Multi-window support, Notification enhancements, Data Saver, Background optimizations, new languages, locales and more. 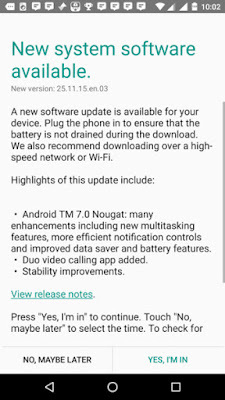 Moto X Style was launched in the country with Android 5.1.1 (Lollipop) back in October 2015 and got the Android 6.0 Marshmallow update in November 2015, so this is the third major update for the phone.The update is gradually rolling out in India and should be available in other countries soon.